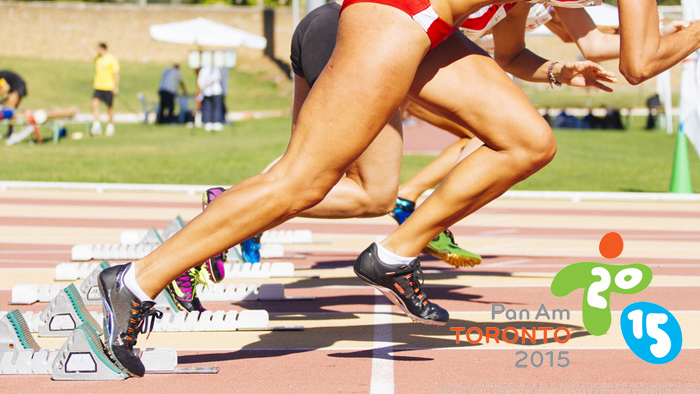 The first international sports do in years is coming to Toronto this July 10th: the 2015 Parapan and Pan Am Games. With over 250,000 tourists and 8,000 athletes converging on the city, tourism is most definitely going to be a thing this summer—and if you’re enjoying condo life, that might mean some adjustments as the visitors pour in. Right in time for the starting whistle (or gun, or ball to drop), here’s a rough guide to adjusting your routine to take in—and not get taken out by—this summer’s Pan Am Games. Are you near a Games venue? The Pan Am Games venues aren’t concentrated, but are scattered all over the GTHA, from track events at York University to soccer at Exhibition to events at Sugar Beach. With venues in Hamilton, Oshawa, Haliburton, and York Region, the crowds are going to be spread throughout the city, but knowing if there’s a games venue or athletes’ village near you is key to knowing how the Games will affect your daily routine (and if you’ll get a chance to watch them from your balcony!). If you live near a Games venue, you might be in for a quiet July—or possibly a very noisy one. If your neighbours are packing up and taking the tourism boost as the impetus for a nice, quiet vacation, find out if they’ve listed their unit on AirBnb. While Games-oriented rentals haven’t picked up the steam that most short-term landlords were hoping, it’s a good idea to find out well in advance if and when new temporary neighbours will arrive, and make sure a change in noise or behaviour next door doesn’t come as a surprise. If you drive into work every day, the city’s anticipating a large influx in traffic—one that they’re tackling with a combination of pitching flexible working arrangements and 235 kilometres of temporary HOV lanes on Highway 427, Highway 401, the Don Valley Parkway, the Gardiner Expressway, Lake Shore Boulevard, and Jane Street. The rules for using the new HOV lanes are fairly strict: If you’re not an athlete, media, Games personnel, public transit, a cab, or an emergency vehicle, you’re out—unless you’re driving an electric car or have at least two people riding with you. The temporary HOV lanes are going to run from June 29th to July 27th, and once the city segues in to the Parapan Am Games—between July 28th and August 18th—you’ll only need to bring one friend to use the HOV lanes. The fines are pretty stiff for rulebreakers: three demerits and a $110 ticket. If you’re a TTC rider, it’s going to be more crowded than usual: Games tickets will do double duty as transit passes, and the streetcars are likely to be full of sports fans. However, both the TTC and GO Transit are ramping up their service calendars, adding additional stops, more frequent service, and temporary express routes to Exhibition Place and between Varsity Stadium and the Ryerson Athletic Centre. In a sweet, sweet development for anyone who’s ever worked opening weekend shifts, Sunday subway service will start at an unprecedented 6 a.m.
For the occasional cyclists, Bike Share’s plans to expand for the Games have been put on ice. Rental bikes might be hard to find for the summer: It could be time to invest in a fixie, or at least a temporary beater until it gets cold. Of course, however you’re getting around, there’s an app for that: Metrolinx has released Triplinx to help transit users plan around delays, find out bus and train times, and navigate wherever they’re headed on time. And for drivers, the Ministry of Transportation’s rolled out the 2015 Games Trip Planner, which feeds you real-time traffic information, directions, and the goods on parking. With a quarter million tourists coming through Toronto’s streets, it’s pretty much guaranteed that the usual suspects, when it comes to Toronto attractions, are going to be packed. CN Tower? Not the summer to do it. Toronto Island? Probably not that either. What could make this summer great, though, is taking that time and exploring some of the city’s more offbeat, quieter attractions. Take in a documentary and some AC on a hot day at the Hot Docs Theatre; hike the Don Valley and check out the wildlife; take a dip at Cherry Beach, taste the Evergreen Brickworks weekly farmer’s market, or see a show at the Danforth Music Hall. With the standard options off the table, this can be a summer to really get to know your neighbourhood and take advantage of all the quiet treasures you’ve persistently walked by. Or, if you’re a sports fan, pick up your own Pan Am tickets! They’re available online and 24/7, and you can’t beat the commute—or the quality of athleticism on display. And if you’re a music fan, there is (surprise!) a concert and arts series attached to the Games, with visual artists, dance, theatre, opera, and a huge lineup of both local and international bands including Stars, Death From Above 1979, Jann Arden, A Tribe Called Red, Basia Bulat—most of them doing free shows. There is also a circus, no joke. And you can’t argue with anything that brings you a circus. In short? Plan ahead, check in—and have fun!